Got back late last night from Morzine where I did a night slalom and two GS races over the weekend. When we left on Thursday, the fog in the UK was really bad and ours was one of the only flights to leave Bristol. In Morzine, however, the weather was absolutely fantastic - blue skies and blazing sunshine until Sunday afternoon when it started to snow. 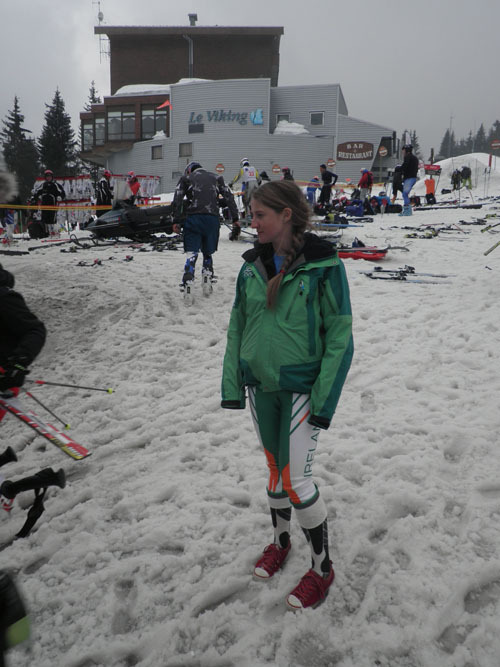 I was happy with the slalom, especially since I haven't been on snow for a couple of weeks and did no training for it. I enjoy night races because they are good fun, However, it was a very long day and we didn't get back to our hotel until after 10pm. 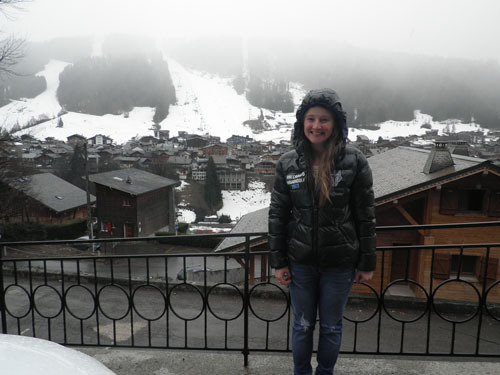 The hotel we stayed in was higher up than the village of Morzine and we had a great view of the race piste. It was a lovely hotel; the owner is an ex-racer so was a great help with providing a place for me to prep my skis etc.